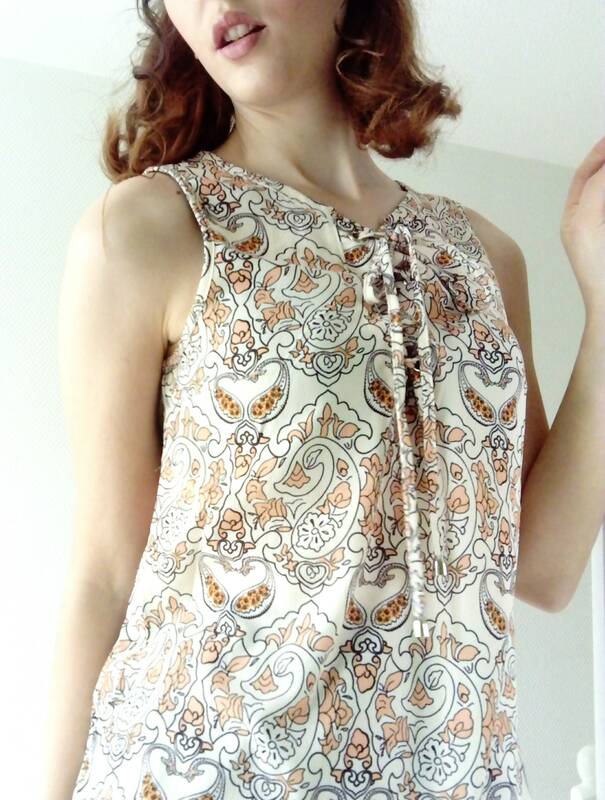 made in the late 90s / early 2000s, cream, orange, brown color. 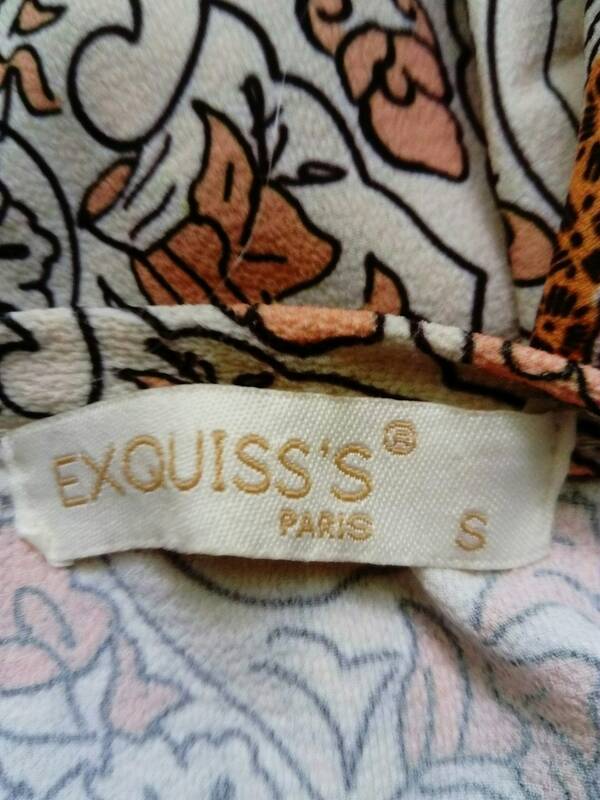 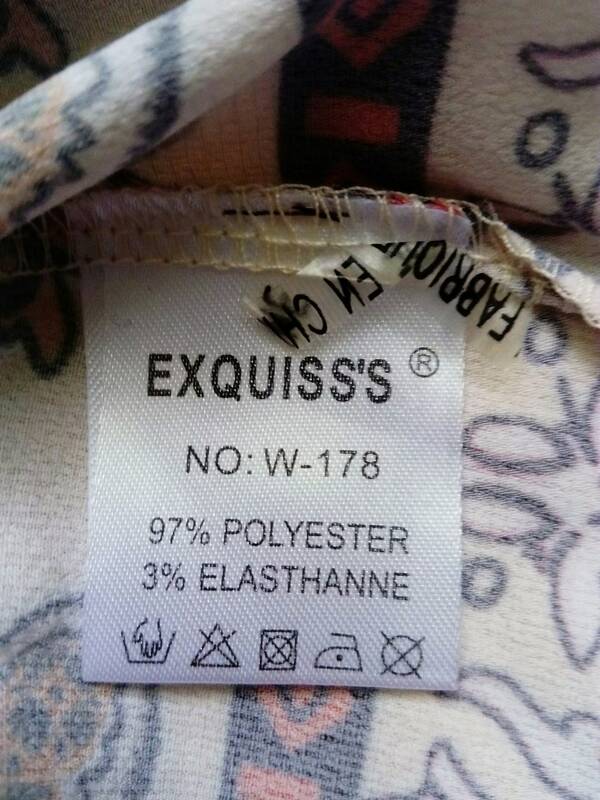 the brand EXQUISS's PARIS, 97% polyester 3% elastane. 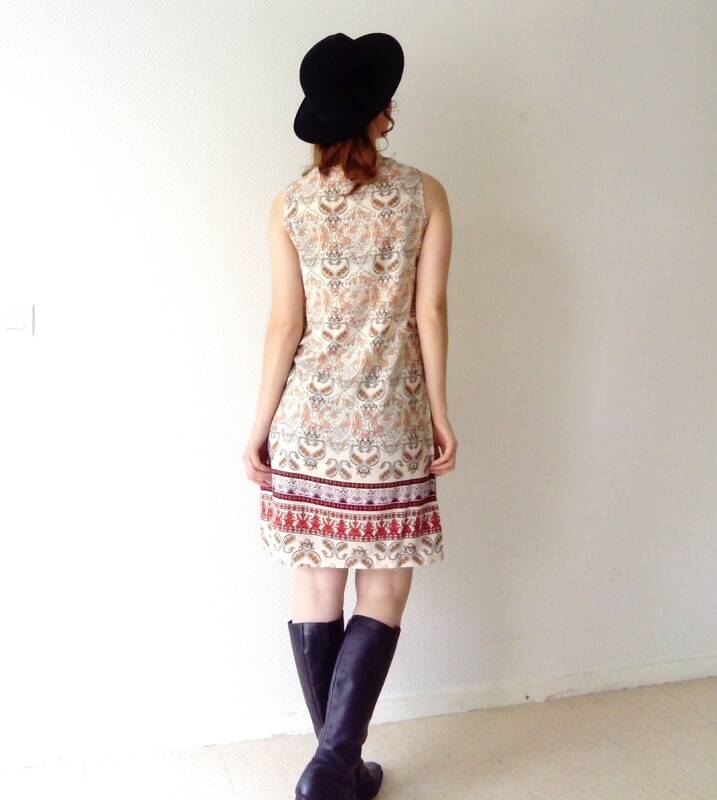 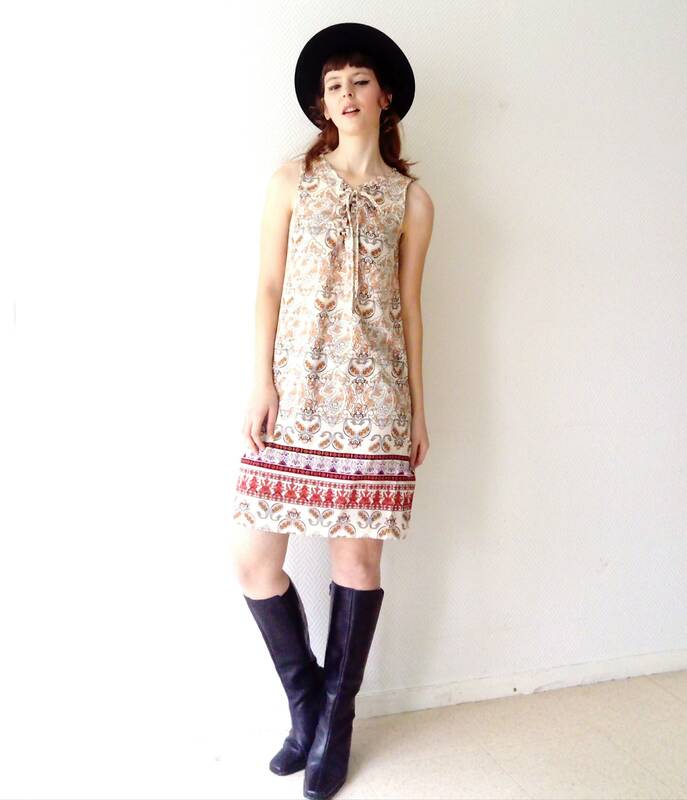 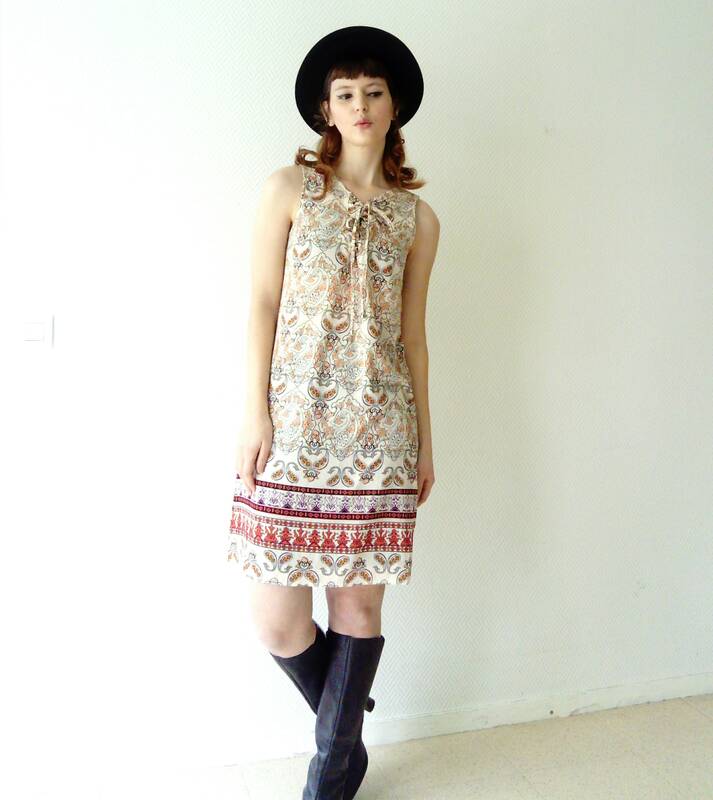 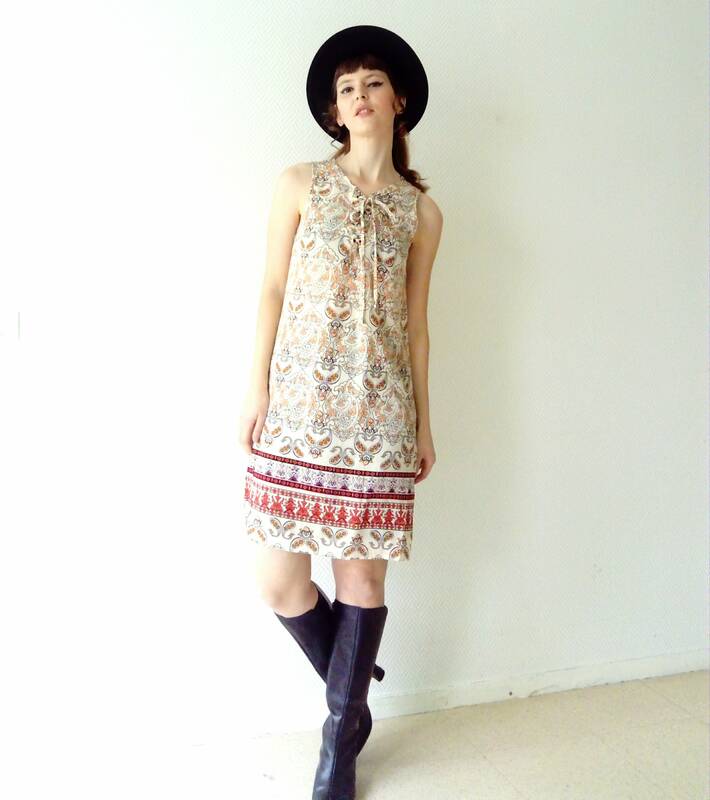 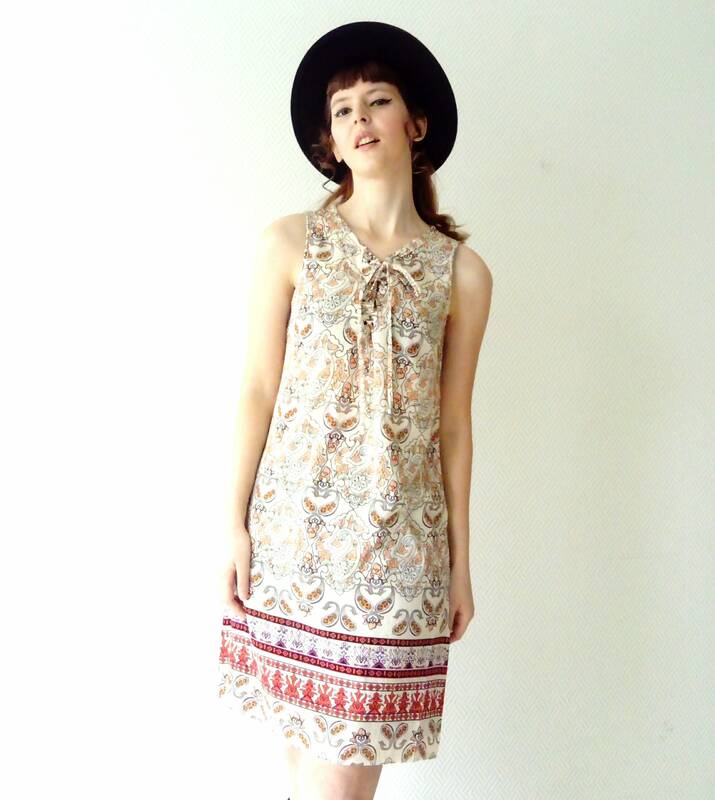 Groovy hippy 70's style dress, made in early 90's / beginning 2000's by the exquisite brand's PARIS. 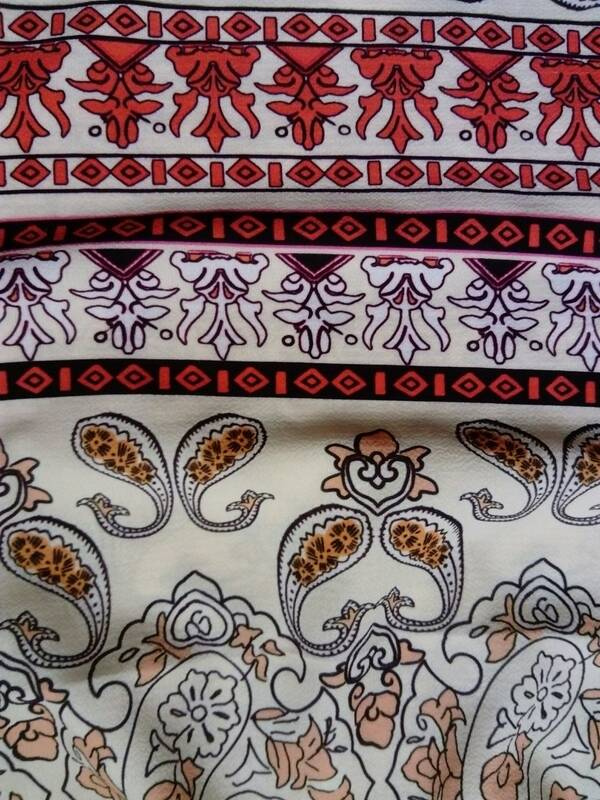 97% polyester, 3% elastane, transparent and elastic fabric, colors cream, brown, and orange.